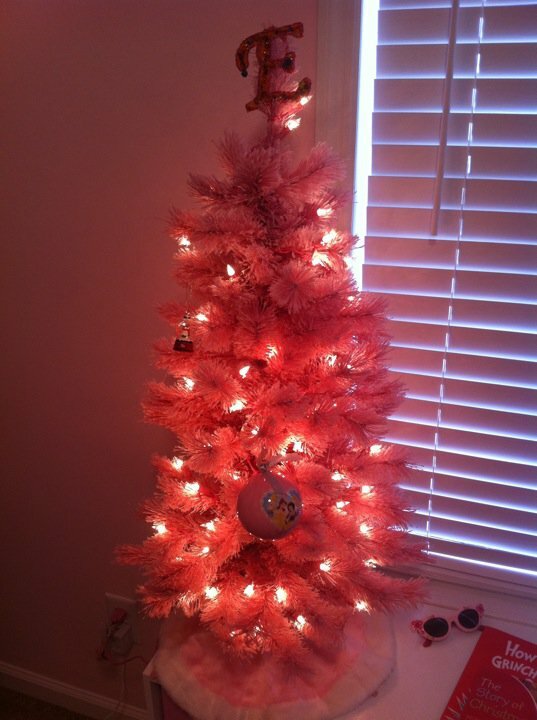 Ella’s Pink Christmas Tree in Her Room! Our Christmas Tree This Year! We spent the day pulling out of all of the Christmas boxes to see the tons of cute stuff we got on super clearance last year. So fun! There were several things we had forgotten about since we bought it after Christmas last year and it got shoved straight to storage. We listened to some good ol’ Christmas music and had lots of fun! We also watched the classic “How the Grinch Stole Christmas” and Ella sat in her bouncy seat mesmerized by the Grinch on the television! 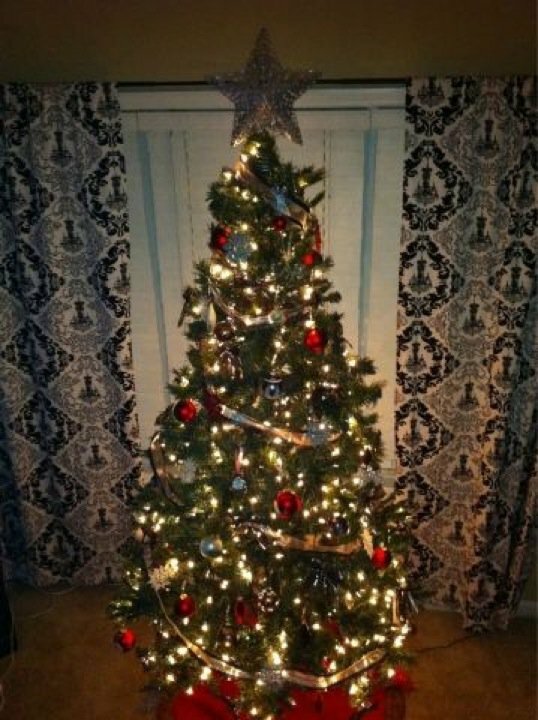 She has also just loved staring at the Christmas tree in the living room and her super cute pink tree in her room. She absolutely loves lights, so you can just imagine how much she is diggin’ all of the Christmas lights! It was such a fun day and I love having our house set up as a little winter wonderland! We couldn’t help but think about how last year’s Christmas was not an easy one. I pulled out our little Charlie Brown Christmas tree from last year and thought about how far God has brought us. And, little did I know at last year’s Christmas that I was pregnant with our second baby but too early to know it! This Christmas is all wrapped up in pink with hairbows and we couldn’t feel more blessed! So let the Christmas season begin! Can you hear me singing, “O Christmas Tree, O Christmas Tree…” ??? SOOOO beautiful!!!!! Jennifer, both of your trees are lovely!